I'm really excited to tell you about a new product we're builing that's going to change the way you share and communicate across Social Media networks like Twitter, Facebook and Google+. As some of you may know, I'm the guy behind @SocialMedia411 and a couple other accounts on Twitter. For the last 5 years I've been a keen observer of Social Media, and over that time I've been waiting for Twitter and Facebook to give us tools that provide more granular control over who we share things with, along with the ability to share privately or semi-privately. It's become clear to us that the solution we're looking for is not going to be built by the existing platforms, so we've decided to build it ourselves! 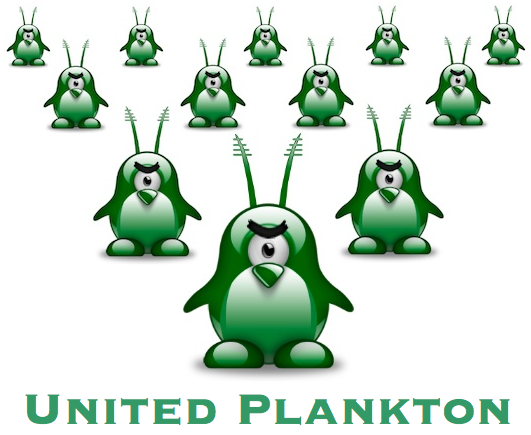 Our first step is the formation of a group called United Plankton. United Plankton's mission is to build exceptional consumer-centric Internet products that give control back to the people and free users from some of the constraints that Social Networks impose on their members. And to be clear, we're not building another Social Network; We're building tools to help you communicate more effectively across existing Networks.